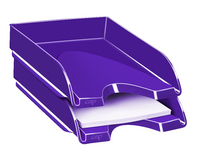 Keep your desk area neat and tidy with this ingenious desk tidy from CEP. 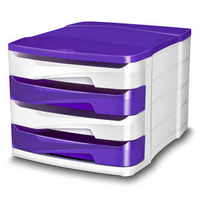 The purple gloss tidy will make an attractive addition to your desk space and its space-efficient, compact design enables you to keep all of your desk accessories assembled and arranged in whatever way suits you. 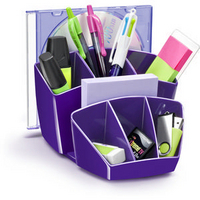 The desk tidy has a capacity for 40 pens, 5 highlighters, 3 CDs and 3 general compartments, and its innovative design means that you can use each compartment for storage of whichever accessories suit you.